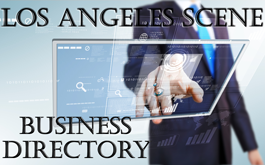 Los Angeles Scene helps promote business growth and accessibility by providing incentives, deals, coupons, and discounts for your particular product or service. We help you increase visibility by attracting new customers while implementing retention strategies. Los Angeles Scene is both a source of discovery and exclusive access to limited time deals and promotions online! Los Angeles Scene offers users great deals on everything from restaurants, shopping, discounts, deals, and coupons. So go ahead and enjoy finding the greatest deals around; there’s definitely something for everyone! After all we take pride in connecting merchants with consumers in the easiest way possible, and satisfying a buyers needs in their daily search for the best offers around! Los Angeles Scene is your resource for discovering everything from the latest cuisine, tailored solutions, dry cleaning, or hot new event on the social calendar! Welcome to the scene that connects you in real time.